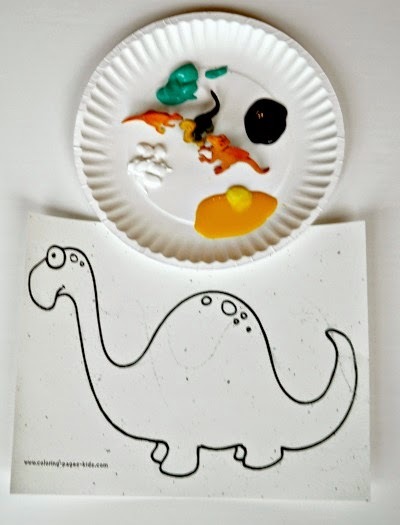 I knew that I wanted to do some sort of process art with my girls during this week's Dinosaur Themed Home Preschool. It felt like we hadn't painted in a while, and I'm also always trying to think of ways to get my youngest involved in painting-- she is often frustrated when we paint because it doesn't come out 'looking right.' 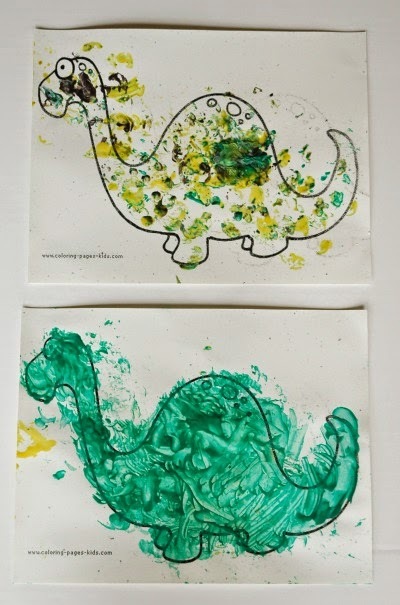 So today we painted dinosaurs. WITH dinosaurs! Like most of our projects, it was super easy. 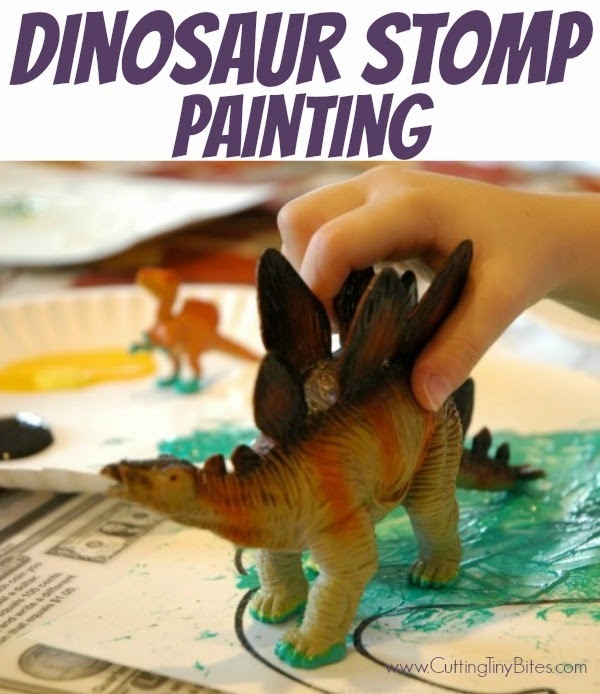 Here's how to set up Dinosaur Stomp Painting. Gather your materials. 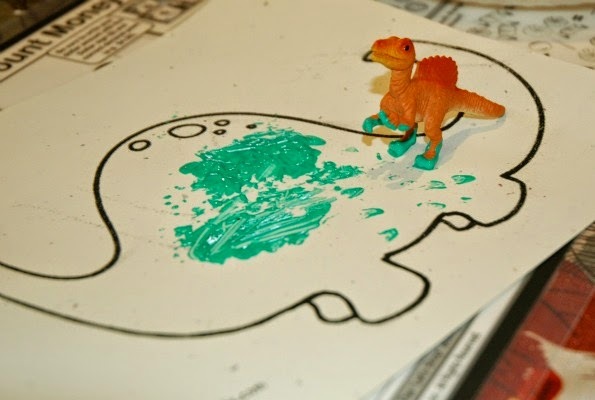 You'll need a printable dinosaur (ours was here, www.coloring-pages-kids.com). 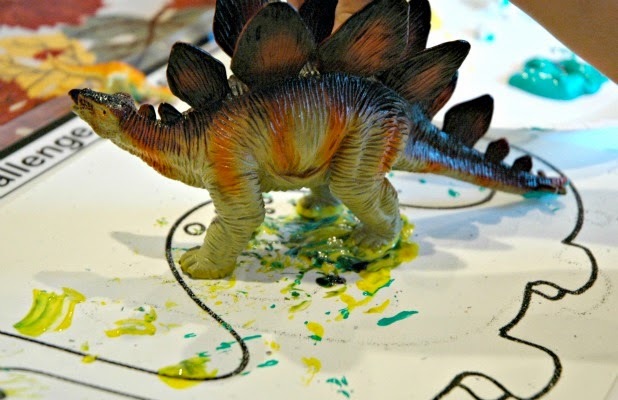 If you google 'outline dinosaur printable' you'll have tons of choices. 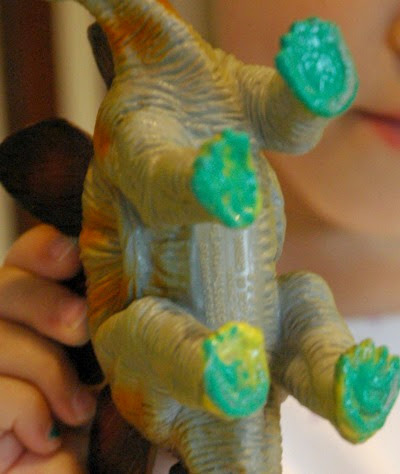 Next you need some paint and some little dinosaur figurines. At one point we had a whole Safari Toob of them, but these were the only ones I could round up today. 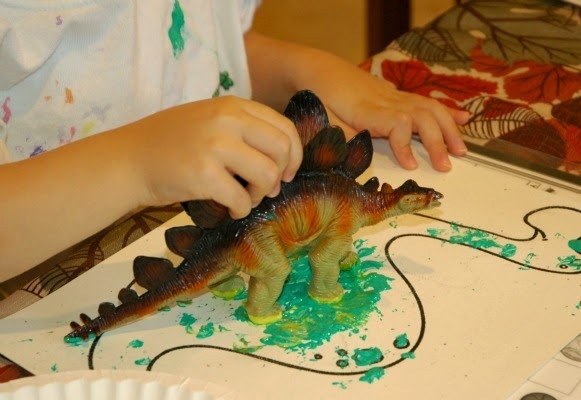 Squirt or pour some paint onto a paper plate. 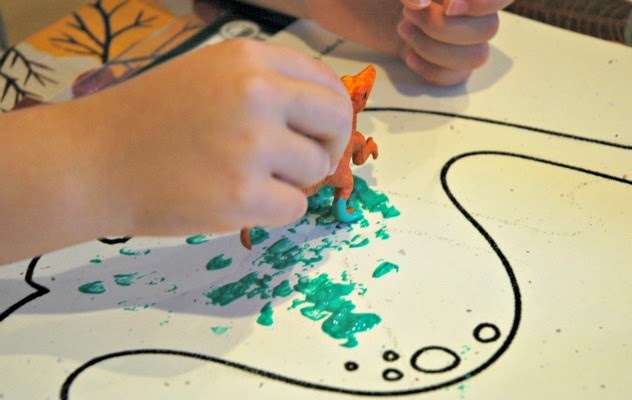 Let your kiddos stomp the dinosaur feet into the paint and then onto their paper. Make sure the feet are good and covered! Lena experimented with regular stomping, and also with using the feet to swirl the paint around. Making silly stomping sounds is not necessary but is highly recommended. 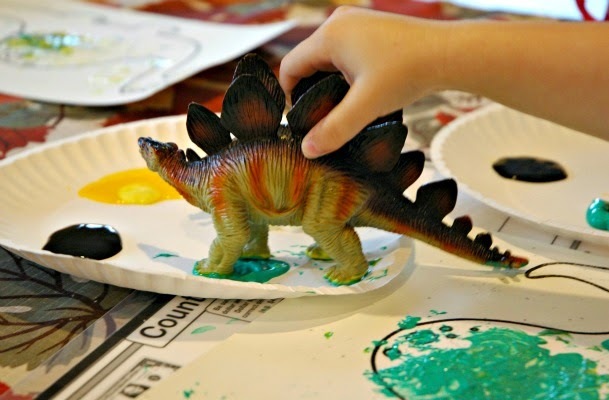 Your child may choose to cover most of the dinosaur, or to leave it mostly blank. With process art, the finished product is not important! Process art painting for toddlers, preschoolers, kindergarten, or elementary kids. 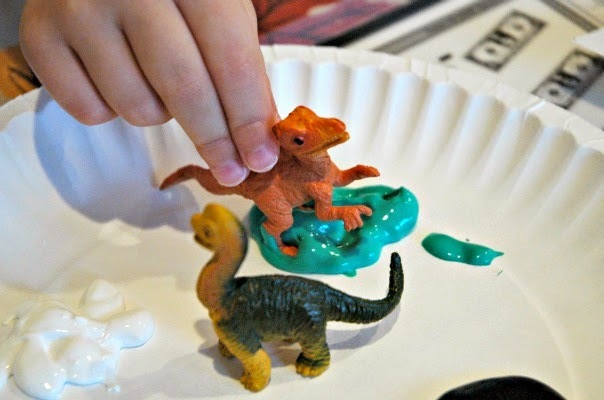 Great for dinosaur lovers or a Pre-K theme unit!